As far as Social Media Campaigns go, they can sometimes back-fire on the company or brand. Over the past few years, there has been a number of instances when things have gone bad. 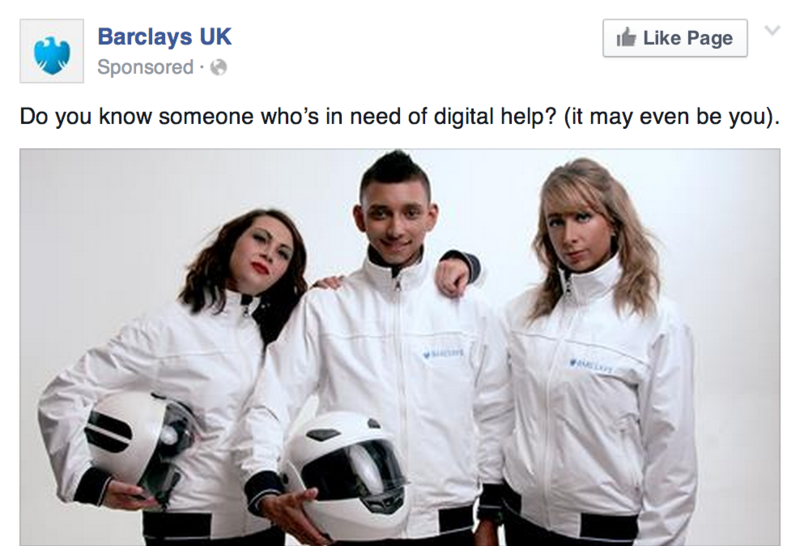 More recently, We’ve seen a new initiative by Barclays Bank called “Digital Eagles” promoted on Facebook, which doesn’t appear to be going as planned. The problem is that a Bank, which should be concentrating on improving its customer service and branch services, is focusing on teaching people how to use their PCs, creating Instagram accounts etc. Naturally, with long queues in branch and customer service centers based in India, customers are seeing the Sponsored Post on Facebook and immediately complaining. Queues out of the door, only 2 counters open and a member of staff walking around showing people how to use Skype on an ipad- bloody ridiculous. This is not a service. What rubbish!!! Employ more bank staff, serve better banking service and stop messing about with your customers minds!!! Leave digital or any other service to professionals who make that their livelihood. You concentrate on what you know best please. This campaign really begs the question: who’s idea was this and why do Barclays think people need help with digital, when there are plenty of companies, YouTube videos and tutorials out there that do the same thing?